Huguenot has a thriving set of music offerings for teens and adults, guided by the exceptional musical leadership of Kathryn Jones, Director of Music Ministries. 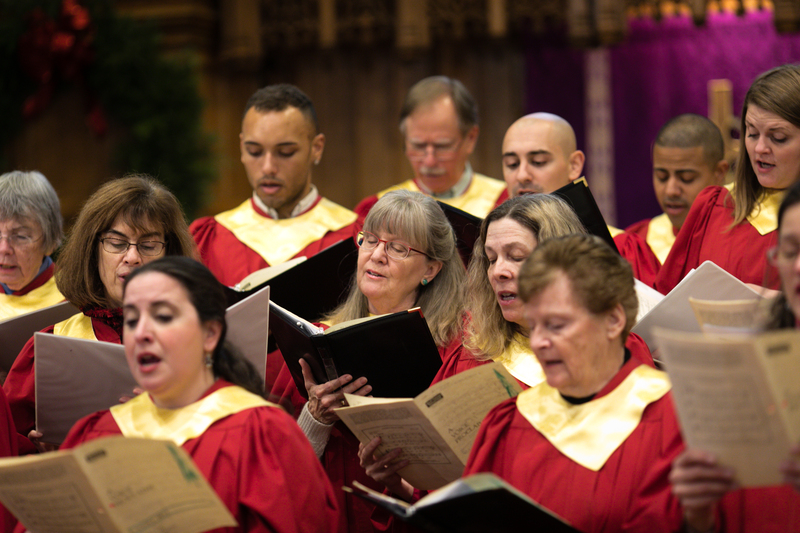 Rehearsal schedules for the adult choirs are designed to accommodate busy schedules, and teens have the opportunity to enhance their musical skills by participating in the Chancel, Handbell and Third Sunday Choir with the adults. This is a wonderful opportunity to lead worship, enjoy delightful fellowship and sing some of the most beautiful music that was ever written from centuries ago through today. The choir rehearses on Sunday mornings at 9:15ambefore worship and after worship at 11:15am from the first Sunday after Labor Day weekend finishing before Memorial Day weekend. The choir sings at each Sunday’s worship service and additional services for Christmas, Easter and interfaith worship. During Advent and Lent, the Chancel Choir presents special music – usually a master choral work – and some additional rehearsals take place on Monday evenings. We make rehearsal recordings available in order to accommodate busy schedules. 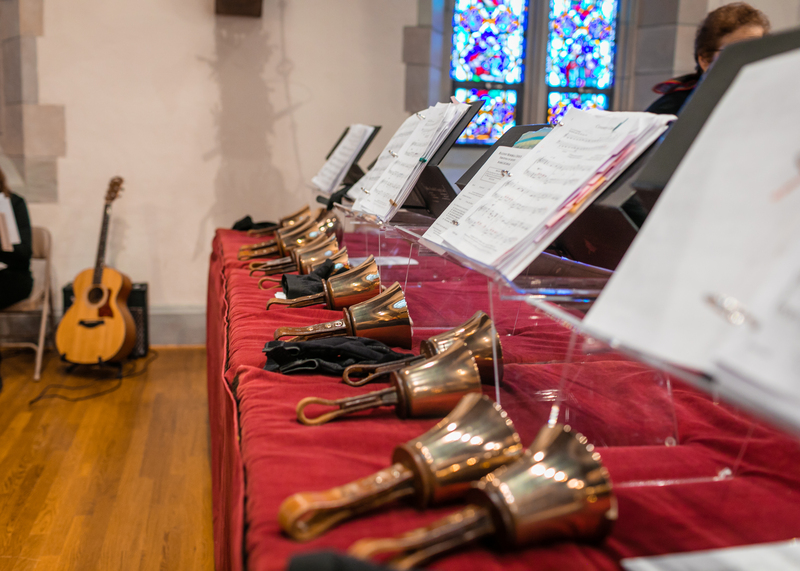 The adult Handbell Choir has weekly rehearsals from 8:00 – 9:00pm on Monday evenings starting each fall and continuing until early June. Newcomers who have some music reading skills are welcome to join at any time. Open houses will be announced at the beginning of each fall season to plan workshops for a beginner’s group. Teenagers warmly invited. The main annual fundraiser for the Presbyterian Women, this event, held in the church gymnasium, provides an opportunity for members of the church community and their friends to display their varied musical talents while raising money for a good cause. A wide variety of musical numbers are performed – from Broadway tunes to Classic Rock. This event is one of the most popular events in town, and serves as a wonderful opportunity for both fellowship and musical expression. For more information about Huguenot’s music ministry programs or schedules, contact Kathryn Jones, Director of Music Ministries.